Maybe craze is too strong a word but the hog roast hire Littlehampton chef is a very busy person these days as the medieval dish seems to be enjoying a whole new wave of popularity, not just here but in the United Kingdom as a whole. When you look a little closer at this pig shaped surprise, it’s easy to see why hog roast is becoming such a huge hit. Let’s face it, most special event food is downright dull. The very same options seem to be served at these sort of events time and time again, which in itself might not be so bad if they were not so dreadfully poor. Sausage rolls, chicken portions, cold rice, dried up sandwiches…and even when there is a meal, it is usually a completely bland version of a Sunday lunch. It is not hard to see why the hog roast hire Littlehampton chef has become so popular. 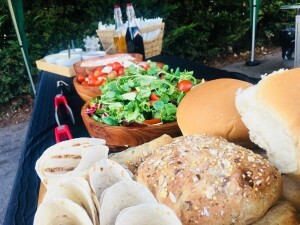 Hog roast really does bring something new, exciting and incredibly tasty to the event catering table, and about time too. 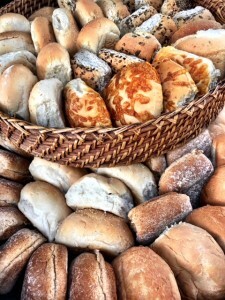 At last, it could be that we are going to actually see special food at special events rather than the dreary, miserable and tasteless options we have become accustomed to. It would seem that hog roast Littlehampton events are here to stay. The beauty of hog roast is not only the incredibly great taste but also the fact that hog roast really is a proper meal. This is a culinary creation that somebody has carefully cooked rather than warm up in the oven or microwave. This makes a big difference, not just in taste but to how people perceive their food. You see, people care about the quality of their food these days, and that means the ingredients that are used, the way it was cooked and who cooked it for them. Analyse each of those things and you will see just how fantastic a hog roast really is. There are certainly no question marks over the ingredients that go into making a hog roast. It may seem straightforward but a whole pig has to be of a certain standard to be even considered by a hog roast chef for cooking. Scrimping on the quality is absolutely not an option and this is why the hog roast chef goes to great lengths to ensure you only ever get a quality pig, which means just the right size, the perfect degree of fat and it has to be from a good local supplier. Anything less and it won’t be a hog roast! Cooking a hog roast is also critical and this is something that your guests are going to be able to see, or at least see some of it take place. You see, a Littlehampton hog roast is a big feast and that means that this is not a meal that is going to be ready in an hour or two. Six hours and you are getting there, which explains why the hog roast chef will have started the cooking before the guests arrive. At least they will see some of the cooking taking place and that is always a thing that people love about a hog roast, it simply looks so brilliant. Everybody loves to see slow roasting meat. 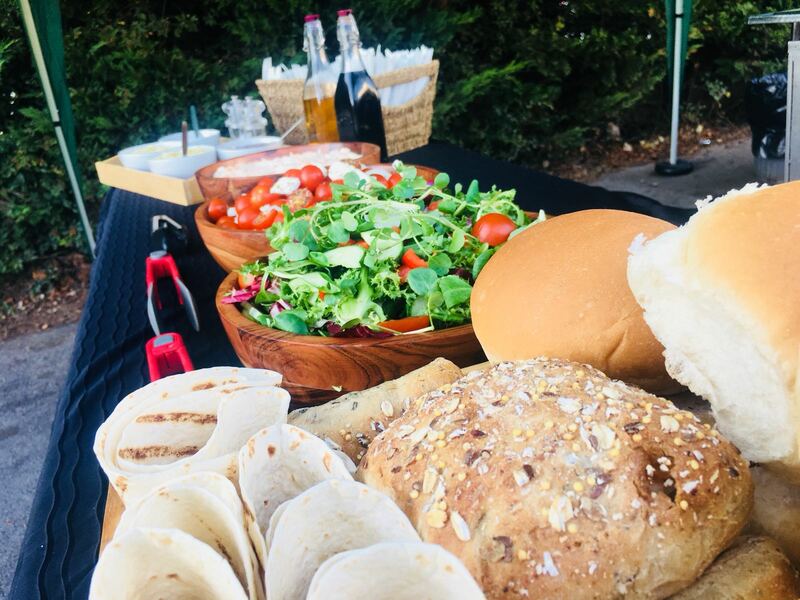 Hog roast is making waves in Littlehampton, so if you are on the lookout for a great tasting, freshly cooked catering alternative, hog roast may just be the solution that you are looking for. So go on, book a Littlehampton hog roast. The British may still have a reputation for being a bit stiff upper lip and somewhat restrained in our emotions but there is no doubting that we are one of the most creative and inventive nations on Earth. 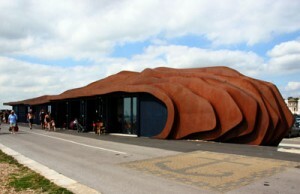 The United Kingdom is full of amazing modern architecture and one the more recent and more unusual examples can be found in the West Sussex town of Littlehampton. This resort town is the lucky home to the East Beach Cafe. It sounds unremarkable but this cafe is like no other you will see anywhere else in the world. Carefully designed and constructed, it is now one of the region’s most famous buildings. Even the food in the cafe is critically acclaimed. It just goes to show that sometimes you can embrace something unusual yet reap the rewards. You could say the same principles apply to something else that is happening in this part of West Sussex at the moment and that is the craze for hog roast Littlehampton events.